Scrum has been around for more than two decades. Since the release of the Agile Manifesto in 2001, the adoption of agile and Scrum have grown incredibly. Now, the survival and prosperity of many people and organizations are heavily intertwined with software. Scrum has been a key tool for teams and organizations to deal with the increased criticality of software. But the dependence of businesses and society on software has increased even more. Software is eating the world. Complexity and unpredictability continue to increase. The urgency to improve remains. 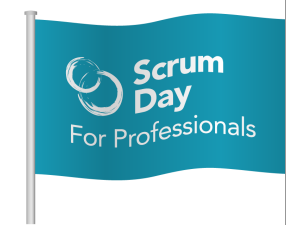 The key for future success is still Scrum – and we are not yet Done with Scrum. The key to employing Scrum professionally is creating Done Increments of product, where “Done” actually means “releasable in production.” This requires professional development, proper practices and standards, cross-functional collaboration, and inner-Sprint feedback loops. It might take another two decades to actually get there.